NYU Stern has established the Advancement of Women in Business Scholarship Fund, thanks to the generosity of Nomi Ghez, PHD GSAS '76/ADCRT '81. Ghez’s contribution of $1 million in support of high-achieving, low-income students marks the third consecutive gift of its scale in three weeks and bolsters the School’s efforts to alleviate financial need. 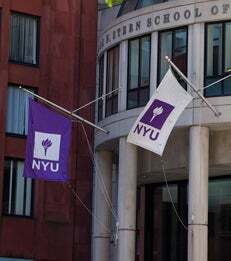 The Advancement of Women in Business Scholarship Fund will support two undergraduate students at NYU Stern for Fall 2016, and an additional two students matriculating in Fall 2017. The Fund will support women seeking careers in the United States, who demonstrate extraordinary financial need and academic merit.